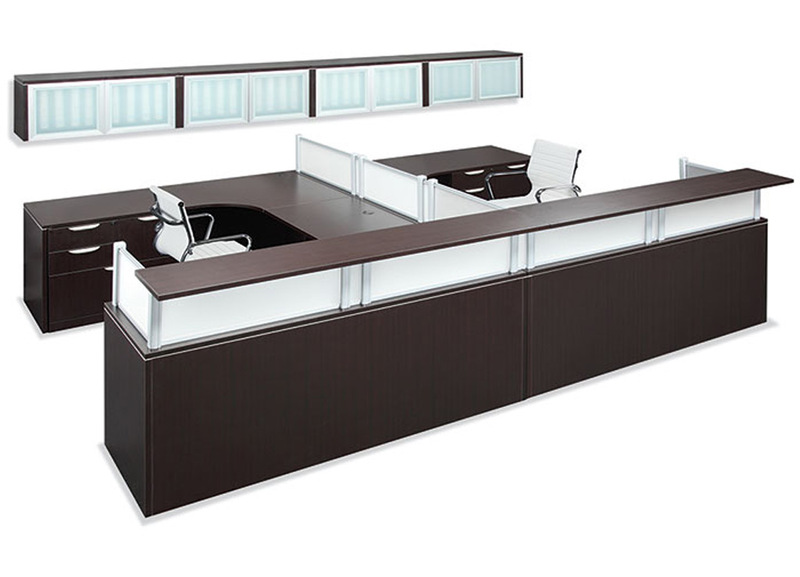 Borders II presents a modern reception desk line with features like acrylic privacy panels, well-designed storage, and silver and glass accents. These reception desks for sale provide not only a modern look, but also increased efficiency for your work. The unit pictured here is built for two! Note: Seating is additional, inquire for pricing.